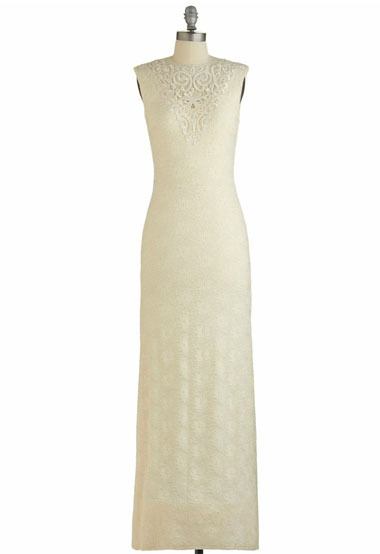 This bohemian gown is made from allover lace with ample stretch, balancing ease of wear with beautifully romantic style. 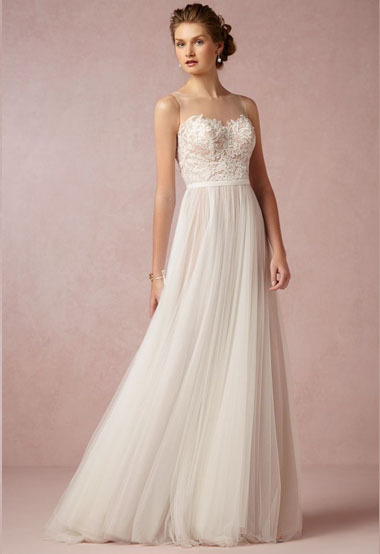 The plunging neckline is finished with an illusion tulle panel, while a center slit in the skirt makes it easy to dance all night. Tailoring is simplified by a top applied hemline.